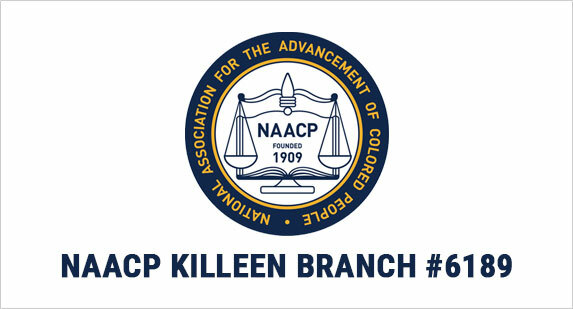 As always, thank you for your support and dedication as being a part of the Killeen Branch NAACP Team. Based on the most recent event that has occurred, it confirms that the STRUGGLE is still not over. We are and continue to be vigilant in standing firm for Justice for all. It is just as important NOW as it was before that we let our voices be heard through our numbers. OUR STRENGHT IS IN OUR NUMBERS! In an ongoing effort to increase our membership, we offered for the second quarter the member that brings the most new members for the months of April, May and June, will received a $50 dollar gift card. Due to no solicitation of members only of individual memberships received and those solicited by the Committee, the contest was extended through July. As of today, we have not received any applications for membership. At our next meeting in August, the member that brings in the most members will receive a $50 gift card. Please, let us strengthen our Branch and the organization as a whole by soliciting more members. Please clickNAACP.Membership form to view or download application.